TSB | BSRIA Blog - Opinions and insights from BSRIA Limited. Nearly there – delivering the Level 2 BIM tools. Will they be what we were expecting? We are just a few weeks away now from the first deliverables from the Innovate UK’s competition to deliver the last two key components of UK BIM Level 2 – a digital plan of work (dPoW) and an industry-wide classification system. The ‘soft’ launch is scheduled for the 8th April 2015 at the BIM Show Live event in Manchester, with the ‘hard’ launch planned for some time in June. With the very short time frame for the work, the opportunities for consultation with the industry have been limited and what will be delivered will largely represent the views of NBS and the other project partners. There has been some dialogue with a group representing a number of the institutions and institutes, but it is not clear at this point how much influence they have had. Also, there have been a number of presentations and webinars over the last few months showing progress to date. As you would expect, there has been a significant amount of feedback from the institutions’ body, including a CIBSE team from its BIM Group. The CIBSE team has tried to look at how these new tools will work throughout the life of the asset, and has looked wider than just the 3D modelling aspects of the output. Three key issues have come to light with the classification structure being prepared. Firstly, it must be capable of classifying multi-services systems or elements. A good example would be a multi-services co-ordination drawing. Historically, classification systems such as Uniclass have only classified up to ‘types of systems’ – ventilation and air conditioning services and electrical power and lighting services are two such examples. Combining services in an application is common and the new classification system needs to be able to accommodate this. Secondly, it is important to be able to classify things other than those associated with a 3D modelling environment. A wide variety of documents will be generated throughout the life of an asset and these all need to be classified in order to be stored and subsequently made available for reuse. Obvious examples are reports, correspondence, drawings and specifications but could equally include EIRs. The third aspect is the continuity of classification. It is suggested that the Elements table would be used at the early stages of a project to describe needs – Heating would be an example. As the project progresses and more detail develops, this might become Low Temperature Hot Water Heating Systems from the Systems table. Although this looks sensible in theory, there must be a connection between these two tables as a cornerstone of BIM is to build on information and not throw it away and start again. Therefore, the first part of the Elements table should match the corresponding Systems table entries to achieve this. The alternative is that the Systems table is used throughout with subsequent pairs of characters being added to reflect the increasing level of information as the project progresses. We have discussed these issues with NBS recently and it will be interesting to see how the new classification structure accommodates them. Realistically, it is probably too late to see them reflected in the April or June releases, but more are planned for later in the year. If these issues are addressed I believe that it will be a significant step towards providing a classification system that works for all those involved. A key factor in the success of the Innovate UK project will be the way in which the outputs are disseminated. They could be the best dPoW and classification system in the world but unless they are adequately explained they might not be adopted into common use. The phrase ‘winning hearts and minds’ seems appropriate in this case and its importance should not be underestimated. The BIM Level 2 jigsaw – nearly complete? Since then BS 1192-4 has been published, leaving just the Digital Plan of Work and Classification elements to be completed. As reported previously, these were the subject of a TSB-funded competition and I thought it would be useful to give an overview of how the competition went and where it is now. This is a fundamental piece of work that is set to have a huge impact on BIM in the UK and it is vital that as much of the industry as possible has an awareness of what is happening, and get involved wherever possible to help make it a success. The competition brief was developed, with industry consultation, and has been administered via the Innovate UK (formerly TSB) SBRI programme under the title “A digital tool for building information modelling”. CIBSE on behalf of a group of industry professional bodies known as C8, consisting Association for Project Management (APM), British Institute of Facilities Management (BIFM), Chartered Institution of Building Services Engineers (CIBSE), Chartered Institute of Building (CIOB), Institution of Civil Engineers (ICE), Institution of Structural Engineers (IStructE), Royal Institute of British Architects (RIBA) and Royal Institution of Chartered Surveyors. The results of the Phase 1 stage can be seen here. On completion of Phase one, two of these submitted bids for Phase 2 – RIBA Enterprises Limited and BRE Global Limited, and RIBA Enterprises Limited was awarded the single Phase two contract. At the time of writing, the results of the Phase two competition had not been posted on the Innovate UK website so it has not been possible to compare what RIBA Enterprises has said it will deliver with the functional specification. As RIBA Enterprises has developed Uniclass2, which it uses for some of its other software tools, it is probably safe to assume that the classification solution delivered as part of this competition will be based on that format. That being the case it will be interesting to see how Uniclass2 is developed to cover all necessary instances, and not just those which may occur within the 3D model. The classification system needs to be capable of capturing everything which may be held within the common data environment (CDE) in order to make the objectives of the standards such as PAS 1192-2 and PAS 1192-3 a reality – the PIM during construction and AIM during operation being the sole sources of information for further use, having been verified and validated against the EIRs and OIRs. 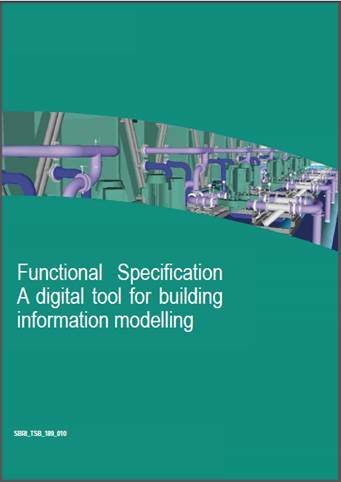 Many experienced BIM practitioners recognise the need for a comprehensive classification system to make information available throughout the life of an asset, letting it be used time and again rather than having to recreate it, and this project could make this a reality. However, careful thought needs to go into it to make sure that everything that needs to be classified can be, and in a way that can be understood. BSRIA has been involved in many recent projects including an independent assessment of the realised performance of low energy / environmentally conscious buildings. This includes projects associated with the Technology Strategy Board’s Building Performance Evaluation (BPE) programme. The emerging results for more than 50 non-domestic buildings have now been analysed by BSRIA to look at what works well, and when things don’t, why this is the case. It’s always difficult to generalise based on such a diverse building stock, ownership profile, procurement route, supply chain capabilities, and operational approach, but its clear that in many of the buildings there is a significant performance gap between design intent, and realised performance. Analysis of such data is always a challenge. How does one attribute, for instance, any shortfall in performance between the specification, design, construction, commissioning process, and to operational issues such as sub-optimal energy management and / or changes in operating regime such as an extension in occupancy hours. However one lesson inferred from the analysis is that with some low carbon (and / or energy) buildings one of the unintended consequences is that sometimes the building has been finely “tuned” to minimise carbon (and / or energy), and capital costs at the expense of the building’s resilience in the face of, say, changing patterns of use or internal gains. Put simply, if a building has been engineered to reduce energy and or carbon for a particular set of operating conditions, and one way of achieving this is to simply size ventilation, and air conditioning plant in line with those conditions, what happens if say internal gains increase as a result of higher occupancy loading? In practice it is found that some environmental designs lack the flexibility to cope with changes in business use because of limitations built into their design. This happens with more conventional buildings, with the difference for environmental buildings being more pronounced because the design in many cases is more finely “tuned” as we move ever closer to “near zero”, or “very low” energy / carbon buildings. BSRIA’s experience identifies many of the good practices required to ensure environmental buildings work well, and also the impact of poor practice. Overly sensitive design is one cause of poor performance in practice. So the question is why do some clients and their design team include a sensitivity analysis to design services and size plant so as to ensure resilience, whereas others adopt an approach best characterised by “lowest capital, highest environmental ranking, never mind about actual performance in use”? The likely answers are complex. Those found by others like Latham and Egan come to mind for some instances: informed clients recruit supply chains who know their business, and both understand implications of design decisions; another is the chasm which can often occur between those who specify, procure, and lease buildings, and those who occupy and manage them. Perhaps a third is that once a building has been occupied, too seldom is thought given to how the building will actually work in the face of changes in occupant requirements. The question for BSRIA is how we can provide a steer and guidance to our members and the industry as to how best to ensure that we build the next generation of environmentally sensitive buildings to be even more resilient in the face of likely changes those buildings will face over their lifetime. A building which has a very low carbon and / or energy design use, but which fails to provide a productive environment in the face of foreseeable changes in operating conditions can’t really be described as “sustainable”. 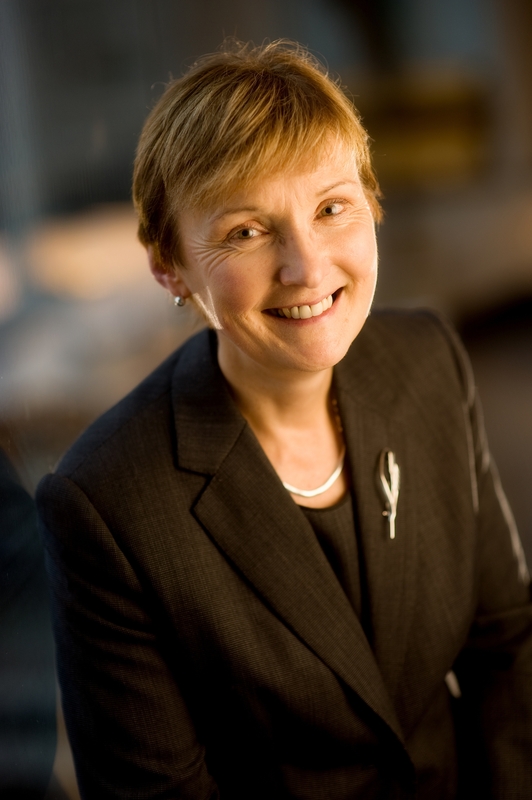 This blog was written by BSRIA’s Chief Executive, Julia Evans. For more information about BPE you can visit our website or visit the TSB’s BPE pages where you can look at case studies and methods of BPE (you may need to register to access these).